It’s been hard to focus this week. I spend any spare moment rushing to my computer to read the latest updates on Japan, tuning to NPR news at the top of each hour, or watching BBC news on the TV. As the catastrophe unfurls, we get to sleep in warm beds, fill up on fresh food, and enjoy creature comforts like heat, electricity, kitchens at the ready, closets full of clothes, shelves full of books, albums full of photos….and put our arms around our loved ones, who are alive and well. 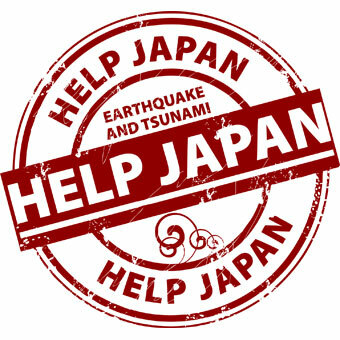 It’s so difficult to make sense of these blessings when others have lost everything — and when we do not, in fact, even know the ultimate outcome of the nuclear disaster at the Fukushima Daiichi power plant and how the Japanese people may yet suffer on an even greater scale. I am so consumed by this continually unravelling loss — and find myself perplexed by how many people around me don’t seem to be troubled by the scale of human suffering that is happening in Japan, or even how these issues may potentially affect those in the US. I do have relatives in Japan (they are reportedly safe, but evacuating), although I don’t think that that’s why I’m so riveted. Horrible things happen all around the world every day, but this catastrophe is in many ways unprecedented. And it’s a story — a story that is still being told. How can one not be on pins and needles, if not consumed by empathy? It doesn’t seem like the time to go about business as usual. In the days following 9/11, everything ground to a halt. Media outlets gave continual coverage — even eliminating commercial breaks — for quite some time. Yes, 9/11 was an attack, not a natural disaster, but the loss of life in Japan has already far outweighed the loss of life on 9/11, and the number may yet skyrocket. Add to that the perilous nuclear situation, and we have a terrifying reality, regardless of the many what-if outcomes. Japan is on the other side of the world, but these are people. Beautiful people who live with a grace far beyond what most Americans can muster. They inspire me as my heart aches for their utter loss. What must it be like to have your own child ripped from your arms as a tsunami wave destroys everything that ever mattered? It is INCREDIBLY DIFFICULT to reconcile the pleasure of one group of people against the pain of the other EXCEPT for me to deepen my sense of gratitude in my life. This year I felt like I needed to give more time at the local level which is the only step I can do with hubby still deployed and little one still at home, and I know we both share that constraint. I think that your going through the certification is also a part of giving back: committing to the program and then helping others find their sense of gratitude through creativity. I find the the CREATIVE PEOPLE are the ones that tend to give back more because their hearts are more open to the world. Does that make sense? Yes, Robin, it does. We do have a responsibility, all of us. Live life to the fullest — this precious, fragile existence that we seem to see as an obstacle more often than not. Go out and live. Hug your children. Paint that painting. Write that book. Give. Foster someone else in some small way. Look at the sky and smile to be alive. Celebrate life today, while sending thoughts and prayers and donations to those who so desperately need them. This is so true, Miranda. I’ve been glued to updates as well, either on TV or online. The loss of life as they know it is so heartbreaking, and I sit wondering what I can do. What’s amazed me through this particular tradegy so far is my students, and frankly, I’m a bit disappointed in them. I’ve heard not one mention of this disaster in their conversations. In past tradegies, national, world-wide or local, they’ve risen up…at least shown some sense that they grasp what has truly happened. I saw it hugely in them last year when Haiti was struck. I saw it in them when our own community had the harrowing unfolding of the kidnapping and murder of a local seven year old and how they mourned when her body was found in a local dump. But Japan? Nothing. I just don’t get it. This is peanuts in comparison, but an event we had on campus yesterday clearly demonstrated to me the apathy many of this generation feels. We had a large recycling awareness event on campus. (Video on my Facebook page). Yes, thankfully there were some students who actually “got it,” who picked up the paper strewn all over the ground and put it in the two VERY LARGE, CAN’T BE MISSED recycle bins SGA had created, yet the large majority of students either paid no attention whatsoever, stepping over the trash, or just kicked it out of their way. Certainly a simple recycling awareness event can’t compare to the tradegy in Japan, but the apathy I saw towards each has troubled me. here, too. i can do what i can do, which isn’t a whole lot from where i sit, but the most i can do is appreciate what’s good right here, right now: my family is well, we’re making changes to our home that have been a lot of work. i’ve had many moments where i stopped and watched as things unfold in Japan, last friday, pretty much the whole day. but then i kept moving forward. i think that’s the best most of us can do. suzanne kamata’s blog has had some good updates on what it’s like for her family living in Japan now. also a close local friend was stuck on a train between yokohama and tokyo, so that was a lot of why the end of last week was a bit of a standstill for me, and to help his wife and son here…. Miranda, you inspired me to do something. Sending up hopes and prayers for those of you with friends and family there. Kelly and Cathy, I’m glad to be in your company. Kelly, I agree — the younger set seems oblivious. Very interesting that your students’ response is so different this time around. Fun to see you in that video — and at least SOME of the student body are highly enthusiastic and engaged. How to spread that awareness to others? Cathy C I am heading over to check out Suzanne’s blog and Kelly AS ALWAYS your beautiful heart is showing.